"I am a veiled Muslim who practices Transcendental Meditation (TM) and I cannot ever forget the first time I prayed after my first meditation. I learned the TM technique in December of 2006: I was speechless and cannot explain this state of complete serenity, contentment and gratitude for God. TM increased my level of acceptance and appreciation for my faith and strengthened my beliefs. "For example, reading from the Qur‘an is becoming more enjoyable and comforting at the same time, as now I can better link its teachings with everything around me: my level of comprehension of its meanings are increasing on a daily basis. 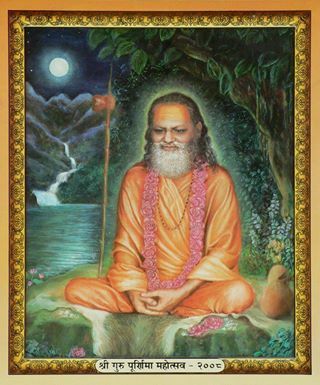 It is clear to me that the more I practice TM and the TM-Sidhi programs, (the TM—Sidhi program is a set of advanced techniques based upon TM), the more deeply I realize different aspects of my religion and my mission in life. "Throughout my life I've been asking myself lots of questions about creation and the purpose of life but now my humble insights were confirmed, as I've always had a strong belief that everything is happening for a reason. I have found that it is easier to have faith in how life unfolds through God's wisdom if I am feeling more secure and at peace within my self. Even if I may not fully understand, on an intellectual level, what is happening, my growing inner peace allows me to feel more at ease with handling any situations that life puts in my path. "It is clear to me that my daily practice of TM and the advanced TM-Sidhi programs has opened my eyes and heart to greater knowledge and experience. Because of this expansion of heart and mind I've discovered that I spontaneously act in a more positive and uplifting way to others, with more love, forgiveness and compassion, which is exactly what my religion and beliefs are all about. I'm enjoying feeling more in harmony with God's creation and desiring to help society in every way I can. "After I practice meditation, I feel more flexible, more alert, and have a greater ability to concentrate on my work and can think more clearly and creatively. Also, when I perform my religious practices the whole experience becomes deeper and more spiritual. "Finally, I would say that even though TM and the TM—Sidhi programs are not a religion and do not require any change in one‘s personal beliefs or practices, they very well compliment religion because they help to eliminate mental, emotional and physical stresses and tensions. From my own experience I can say that the dissolving of stresses and tensions purifies and strengthens the body, heart and mind and results in a greater ability to live one‘s life in harmony with the highest goals of religious life." This text was posted by a friend on Facebook. Photo sourced separately.